What is the world’s longest cycling event that usually runs more than 3,000 km that the route normally covers a circuit around France and other neighboring countries ? You guess it right, Tour de France. I I remember when I was still a student learning french for the first time in our language institute, the ffirst important things I’ve learned about french people was their love for good weather, good food, enjoying life and doing a good sport (I would say it’s perfectly described in Pink Martini’s song Je ne veux pas travailler (literally means I don’t want to work). And when it comes to sports three things that preoccupies them, their fondness for petanque, football and of course the pride of the french the Tour de France. I am not really a big fan of this sport (nor any other sports for that matter (you see I am more of a passive sportsman, hehehe I only love watching them) but Tour de France never cease to amaze me on human capacities to push their limit, really impressive !. So why all this introduction on this biking event ? Well simply because today I am honoring and supporting LIVESTRONG Day a one-day initiative spearheaded by the Lance Armstrong Foundation to raise awareness and funds to fight against Cancer and this will be on May 13, 2008. In connivance to support this day, Barbara of Winos and Foodies is calling all food bloggers for « A TASTE OF YELLOW » food blogging event. You can check her site for more details. Mix the yeast with 25cl of warm water. In a bowl mix the flour, salt, the yeast diluted in water and oil. Knead the dough for 10 to 15 minutes or until the dough becomes smooth and elastic. Put it back in a bowl and cover with a slightly wet towel. Let it stand for an hour. Once the dough has doubled in volume, work on the dough and make 8 mini-pizza’s approximately 12 centimeters in diameter. Next prepare the yellow prune. Cut and remove the seeds and slice thinly . Cut in small cubes the butter and put it over the pizzas. Drizzle the almond powder over the pizza and decorate it with the sliced prune. And lastly powder it with sugar, poppy seeds and a little bit of orange water for perfume. Bake it for 20-25 at 180° celsius. Oh that is such a nice looking pizza.A very elegant topping. Thanks for supporting LiveSTRONG With A Taste Of Yellow. Great photos even without the yellow wristband. The "Je ne veux pas travailler" is what i'm feeling now. the funny thing is before open your site,i'm having this song on my head. & say, i need to see dhanggit. she'll motivate me to do some plates for saturday. You surely did. may i grab the idea? 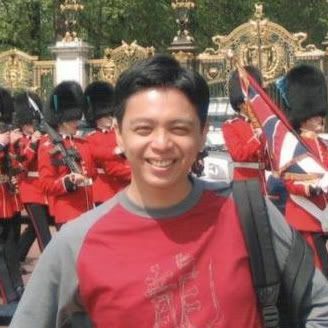 Dhanggit, that's one of the best pictures you've ever taken! 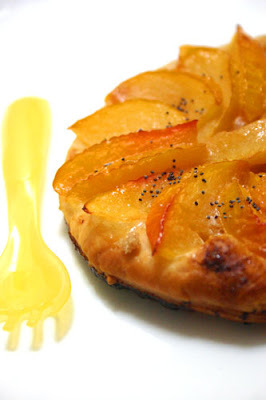 Dhanngit, when prunes are lush & ripe, they are perfect for tarts...yours is so pretty, like an edible flower. That is such a gorgeous pizza! Yum! I will have to participate in this event. Thank you for bringing it to my attention. This looks beautiful! It certainly fits the theme. I'm sure it was delicious. 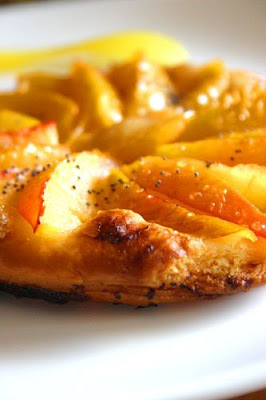 Thats a beautiful tart.I havent seen yellow plums here.Just scrumptious! This looks wonderful! I love yellow plums, but I don't find them often. I'm jealous! Just gorgeous. A worthy event that I most certainly must contribute to. Very pretty, Dhanggit. I purchased yellow plums a month ago and wound up eating them out of hand b/4 I could prepare in a recipe. : ) Poppy seeds and orange flower water are exquisite. Can't wait for plums to come into season here. This pizza is so fresh and unique! Wow! Gorgeous photo! And so delicious-looking! Look at all this cuteness, it's overwhelming! haha. Well done! It looks really really yummy. Oh and i love anything with hints orange flower water. Can you fedex me a dozen pleaaase?? Oh pizza looks TOO GOOD. Seriously. But's OK, because it for a good cause, rigth? I also participated. this sweet pizaa really adorable! it is a sweet sensation! i'll be staying tuned to the Tour this year. it's such a great event and the vistas are magnificent. Love the look of this Dhanggit! I'm craving something fruity now...this is a great pizza topping! that plum pic would be awesome for CLICK au naturel. 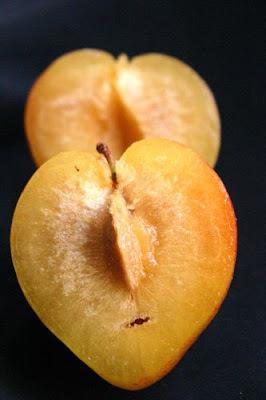 One of the things I miss most about France is the yellow plums.. it's so hard to find them here! 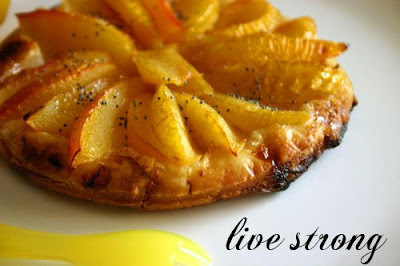 Thanks for sharing this recipe of yellow plum mini-pizzas.Really looking very delicious..